The number of marketers that have a ‘good’ awareness about GDPR has risen 13 per cent. Awareness of the GDPR has gone up, but B2B marketers are still falling behind and underestimating the impact of the new regulation, according to a new report by the DMA. More than a quarter of businesses (28 per cent) still feel unprepared, which is just a two per cent decrease, compared to earlier numbers. 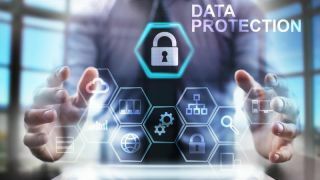 The number of marketers that have a ‘good’ awareness about GDPR has risen 13 per cent, to 66 per cent in total, the report claims. B2B marketers, however, are at the both ends of the spectrum. More than a quarter (26 per cent) of marketers believe their companies are still unprepared for the GDPR. More than half (56 per cent) feel prepared, and a small percentage (5 per cent) think it’s not their responsibility. Two thirds (68 per cent) said their businesses would be ready in time. Profiling, legacy data, and consent are the biggest concerns for marketers.